It’s not the prettiest salad (because it ends up just being all green) but it is delicious. 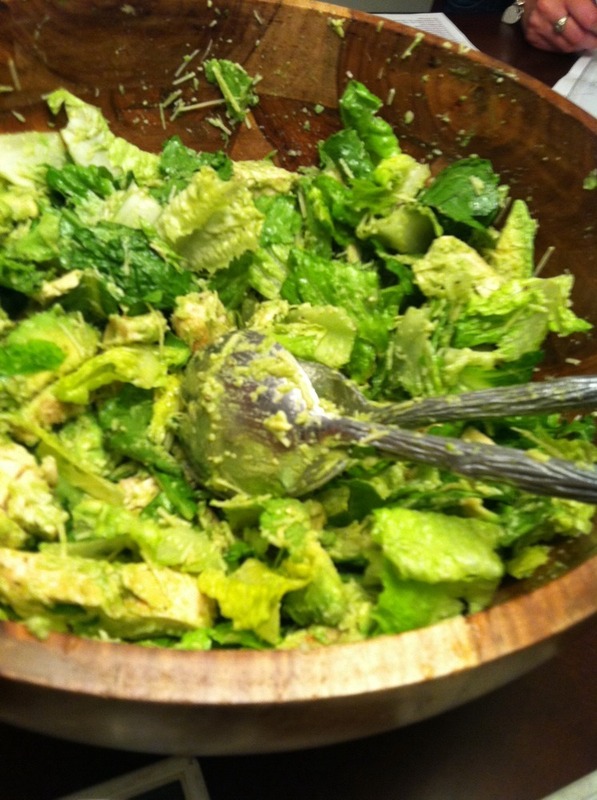 Tonight we made an old favorite: Avocado Salad. Caitlin’s mom, sister, grandma, & cousin were in town, visiting for her shower and this was nice after a day in laguna (and a heavy lunch at In N Out).This dish is awesome because it tastes light, is not difficult, and is a HUGE crowd pleaser. I have one of my best friends, Amelia Stamper’s family to thank for this dish so THANK YOU. This is best as an entree salad, adding your protein of choice. Grilled chicken breast is probably the best, but I’ve had a nice one with shrimp, or seared ahi, and I’m thinking that crab could be delicious. Don’t forget the juice from the lemon because that brings it to life, and also I often almost forget the Parmesan cheese so make sure you don’t miss that either! A must on the side of this dish is garlic bread. This has now become Caitlin’s specialty and she did a great job tonight. Here’s how to make it all…Enjoy!! Grilled Chicken breast: seasoned with garlic salt, pepper, and old bay seasoning. Grilled on my calphalon double sided grill. 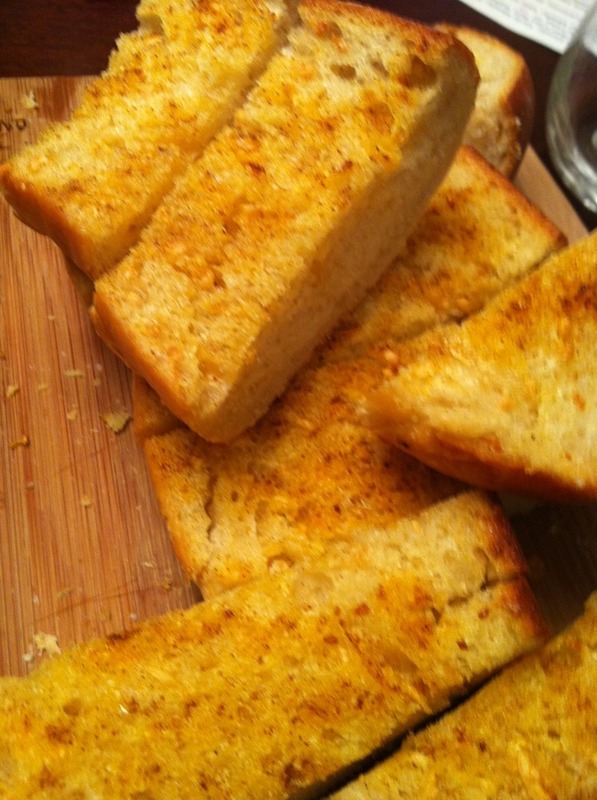 Garlic Bread: wide & crusty French/Italian bread, 1/2 stick butter per side of bread, & 3 cloves of garlic per side of bread, and a sprinkling of paprika (Caitlin likes Hungarian paprika to celebrate her roots). Cook in the oven til golden. Combine ingredients for dressing in a measuring cup and mix thoroughly. Chill or let sit until ready to use. Wash and tear up Romaine. When dry, mix in parmesan, adding more if desired. 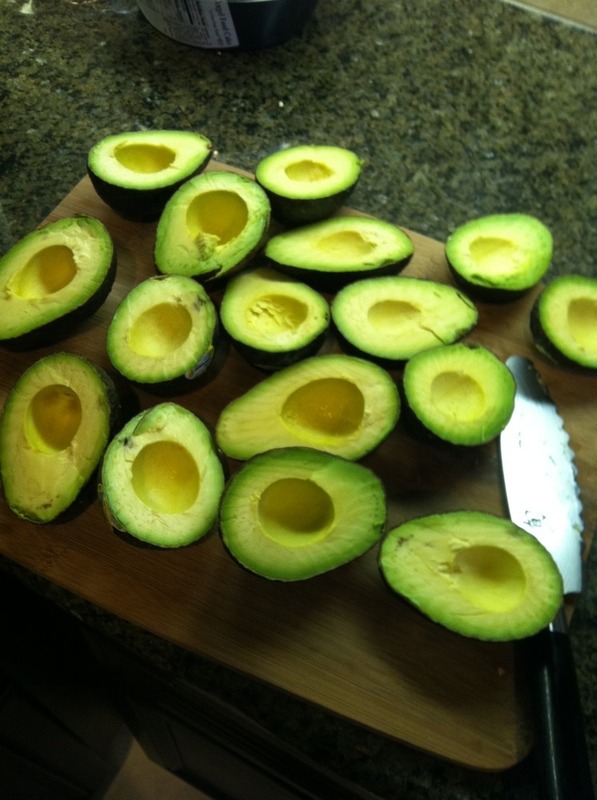 Cut up avocados in larger cubes or strips and mix in with salad. Do the same with the chicken breast if desired. Mix up dressing and then pour onto salad while gently tossing. After dressing is distributed, cut lemon in half and squeeze half or full lemon (to taste) over salad while gently tossing and then serve. Fresh ground pepper to taste.